Working in a male-dominated field isn’t always the easiest career path for women, so you may feel skeptical about pursuing a job in certain industries. But we’ve been working with a company that’s illustrating how women can thrive in Silicon Valley. Zynga -- yes, the one that feeds your Words With Friends obsession -- has shown us what it looks like when leaders in a traditionally male-dominated industry step up and prioritize attracting, hiring and retaining top female talent. We’ve spoken to women who work there, and they’ve shared with us not only what their jobs are like, but also how awesome their company culture is. Gina Reams, a Principal Game Designer at Zynga, says that the Women at Zynga group is a huge draw for her. "Seeing the amount of investment that Zynga puts into Women at Zynga is what really motivates me about the company, she says. “Everyone knows there are diversity issues in tech. It’s something we read about in the news and company reports, hear accounts of from people we know, or have even seen and experienced firsthand. We love that employees are not only encouraged to do their jobs well -- but they’re also encouraged to get on board with this overarching mission to support women in tech. Hess filled us in on some of the amazing things that Women at Zynga is doing to enrich its employees’ experience. The group has been around since 2011, and its goal is to create an environment that empowers women to succeed in their careers and communities. While it’s a women-led and focused group, Women at Zynga also emphasizes engaging and including men in its efforts. Members help facilitate a dialog between Zynga’s female and male employees about ways to grow and support the female workforce across the company. “We encourage women and men across all of our internal disciplines to attend our events to gain insights and learn more about one another,” Hess tells us. Women at Zynga is not one of those organizations that merely exists and touts its goals without actually doing anything. The members do a whole lot: Hess and some other dedicated female leaders develop enrichment programs around education and training, career development and community building. They also help provide professional coaching, skills development workshops, speaker series, social events and celebrations marking women's triumphs. 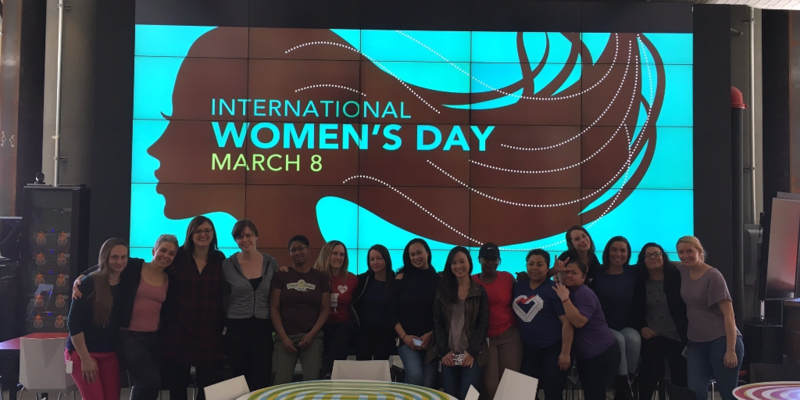 For International Women’s Day, for example, Women at Zynga held a variety of events. Members coordinated celebrations and #BeBoldforChange conversations at their 10 offices across the country and they sponsored a photo session for women who wanted to refresh their head shots for professional and social media purposes. 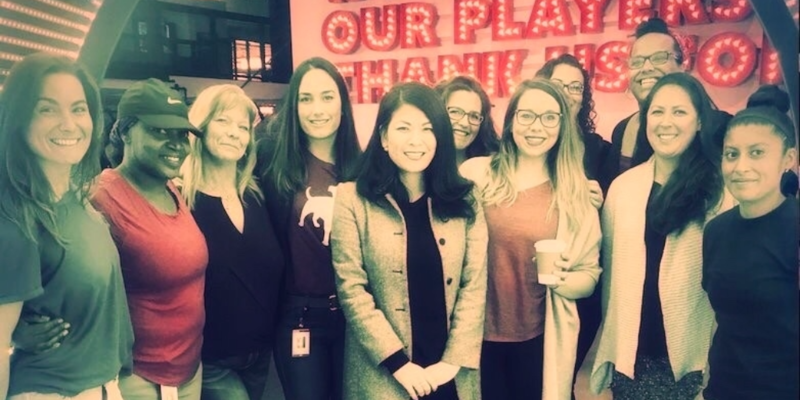 Women at Zynga also hosted a “FearlessFemales Livestream” for IWD that featured the company’s VP of Games Nicole Opas and Lead Game Designer Anna Huerta. The women spoke about "Building and Working in Inclusive Teams” at the University of Southern California’s Games for All speaker series. This is part of a close relationship Zynga has established with Professor Tracy Fullerton and USC’s Cinema School where many of the company’s female game developers will be teaching courses and mentoring female and minority undergrads. “Women at Zynga has allowed me to exercise my leadership skills when I did not have an opportunity on my teams and gave me the confidence to transfer my skills in my day-to-day work,” said Huerta. “I am now constantly being recognized for that growth by my colleagues and mentors - the support and affirmation fuel me to keep moving forward. I always thought being a leader was out of reach. The hours, the sacrifices, and amount of energy required seemed to be impossible requirements. She credits the group’s success with the development of the Women at Zynga Advisory Board, which is made up of a cross functional group of longtime Zynga employees who represent game design, engineering, production, employee engagement and communications. The Board meets regularly and is hands-on in shaping and designing program initiatives, planning events and representing Zynga as ambassadors across the professional disciplines they represent. 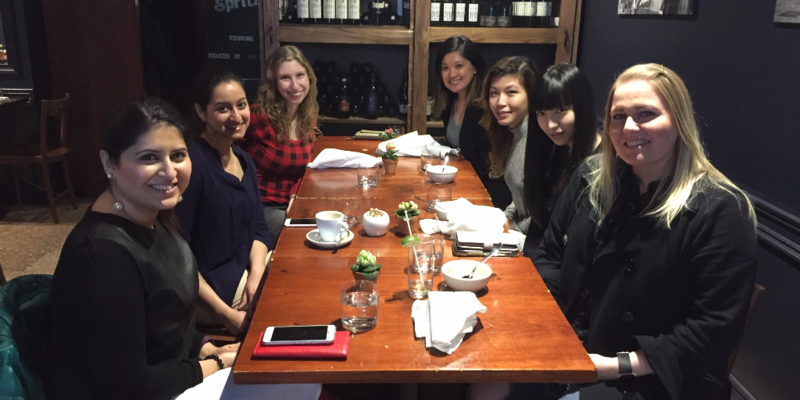 The Board is also active in mentoring girls in tech and women in our fields both inside and outside of the company. “The Women at Zynga Board of Directors has some ambitious plans for programming and events this year,” adds Reams. “I think one of the biggest impacts we’re having is really making all women feel like they’re included, valued, and supported in their career." ...and browse all open positions here.